Join us for EPD Camp this June! Camp will be held for two days at Starfire Sports, and players can come to one or both days. Open to ALL interested players age 2003-2009; Newly open to non-EPD players age 2007-2008. Players will have the opportunity to gain experience and learn from our EPD coaching staff. Eastern Washington EPD tryout registration is now open! 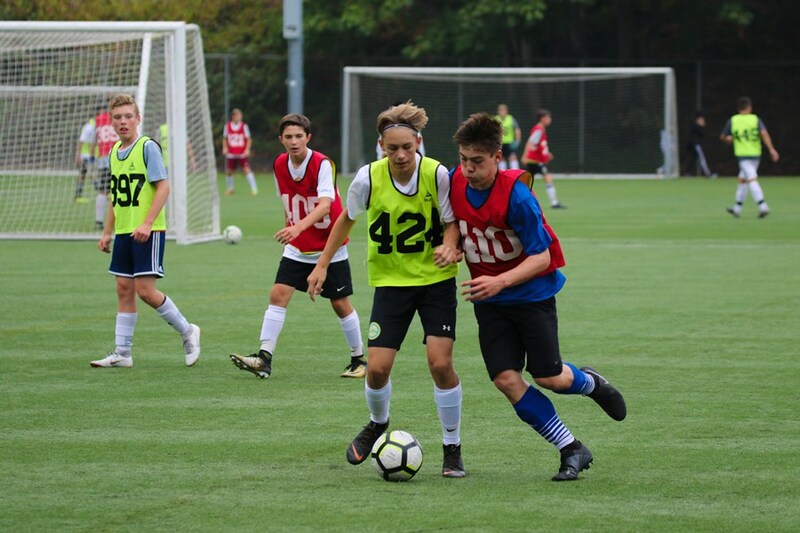 Hosted at the Spokane Sounders Polo fields on July 17, age groups 2003-2009 are encouraged to attend both tryout sessions between 10am-2:30pm. Players will then be selected from the open tryout into the final pool selection. Washington EPD open tryouts are set for August 6-7-8 at Starfire Sports in Tukwila. Participating age groups include 2003-2009, and each age group will have one 2 hour session per day between 8am-2pm. Check the link below for your age group specific tryout and callback dates and recommendations. Want to know more about EPD? READ to see what we’ve been up to this year! The 2018-19 Elite Player Development season has been full of player growth, challenges, and success! Eastern Washington tryouts started the season strong on a beautiful sunny day in July where tryouts were held in Spokane and Cheney. Our first challenge came in August when the Washington tryouts were heavily affected by poor air quality from wildfires, postponing all callbacks for one week. We eventually made up these days when the air conditions improved, and were able to set our final pool teams by September. This fall, all teams participated in fundraising through Snap! Raise. This program was set up for players to raise money for their EPD costs, travel to Phoenix, and to support the EPD Scholarship fund. The Snap Raise campaigns combined with numerous direct donations will provide over $35,000 in scholarships for travel costs and other EPD expenses for players in our scholarship program. These contributions will go a long way to provide sustenance to the EPD program and the youth soccer community. We had a successful trip to Phoenix at the ODP West Championships in January. We had 10 teams from Eastern WA and 12 teams from Western WA compete in Phoenix. The Boys and Girls 2007 WA teams attended Phoenix for the first time in EPD history. The Boys 07 finished as top contenders in their pool, and the Girls 07 came in First Place in the 12 and Under Girls Division! The Girls 2004 WA also made an appearance in the Finals, and finished in the runner up position against Cal South. This event would not have been possible without support from all our coaches, team managers, administrative staff, and players. Thank you for a fantastic event! In February, the Tacoma Stars hosted an “EPD Night” at their home game against the Dallas Sidekicks. EPD Players and their families were invited to out to the accesso ShoWare Center to be recognized for their accomplishments. This event coincided with the Washington Youth Soccer Hall of Fame class of 2019 induction. It was an incredible presentation to have our elite youth soccer players stand beside some of the greatest figures in Washington State youth soccer history. competing at the ODP regional level. 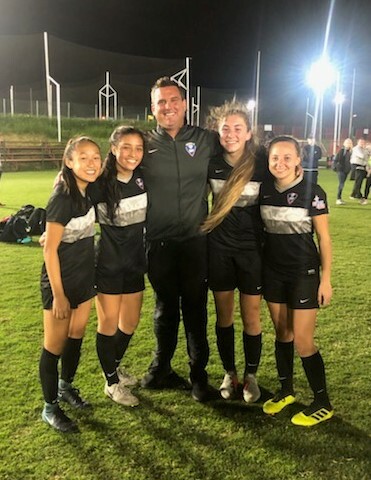 The ODP West Girls 2003 regional team traveled to Costa Rica last week, taking 1 Western WA and 3 Eastern WA EPD players. 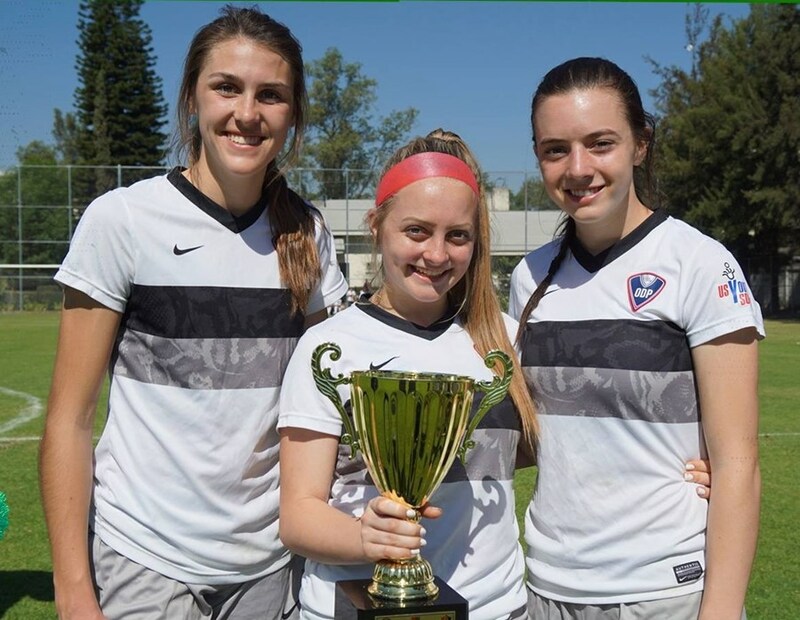 Ashley Tonthat (EWA), Julianna Barker (WA), Hayden Crowley (EWA), and Kendall Moore (EWA) represented the state of Washington, and the team went on to win all four of their games, winning the tournament overall. Tonthat was named MVP in two games, first against Saprissa and again versus DIMAS. At the beginning of March, the ODP West Girls 2001 regional team traveled to Guadalajara, Mexico. Three Eastern WA EPD players, Isabelle Moultray, Riley Walkington, and Grace Terrill competed with this team, and finished the tournament undefeated. Congratulations to these girls for winning the tournament, and proudly representing WA EPD! Spring EPD training has begun again in preparation for our last tournament, the Portland Friendship Cup. 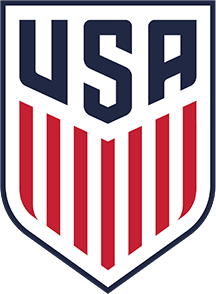 On Memorial Day weekend, our teams from Eastern and Western WA will travel down to Beaverton, Oregon to compete against MLS pre-academy teams, and other state ODP teams. The final travel rosters will be posted by the end of April. The annual summer EPD Camp will take place in the last week of June. Camp is open to all interested players ages 2003-2006, and incoming age 2009. Camp will be held for two days at Starfire Sports, and players can come to one or both days. Players will have the opportunity to gain experience and learn from our EPD coaching staff. For players who are interested in trying out for EPD, camp provides a great opportunity for exposure and an introduction into what EPD tryouts will look like. We are looking forward to a great showing in Friendship Cup and EPD Camp to wrap up the 2018-19 season, and head into 2019-20 ready for new opportunities!